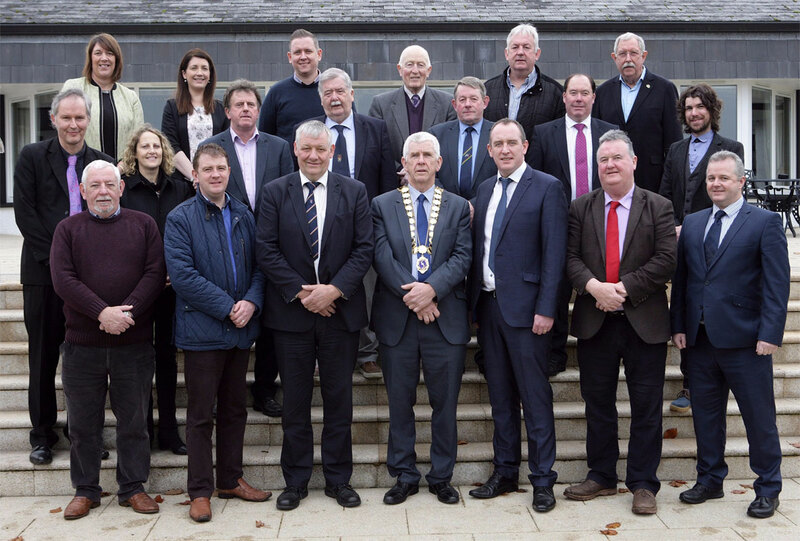 The Management Board of ICBAN comprises 25 Councillors and was established in 2001 in response to the growing levels of activity and responsibility of the network. The Management Board meets on a regular basis and assumes responsibility as Company Directors for the organisation’s Strategic Development, Good Governance and Policy Formulation. The members of the management board take pride in their ability to operate on the basis of consensus decision-making, demonstrating how party politics are transcended in achieving what is best for the Central Border Region. The appointments to the Board are made by the eight individual member Councils in keeping with the organisation’s express wish to represent cross-community, cross-party and cross-border interests. ICBAN provides financial management and project delivery systems, in addition to the policy function. The organisation may also develop, initiate and implement programmes, particularly in cases where there is a need for a regional approach and in cases where gaps in delivery exist. The staff secretariat implement the Board’s strategies and policies and work with a wide network including Council and governmental officials, regional stakeholders and associates employed by the organisation to deliver a range of cross-border projects and initiatives. The current staff team includes Shane Campbell (Chief Executive Officer), Andy Hallewell (Innovation Officer) and Joanne Breen (Executive Assistant).